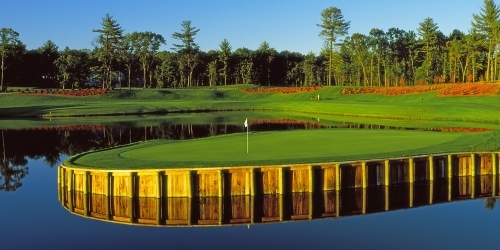 The Castle Course is an 18-hole Championship golf course featuring 7 holes replicated from PGA Tour courses; including Augusta National, TPC Sawgrass, Firestone, Oakland Hills, Oakmont, and Bay Hill! Being the only replica style golf course in the Midwest; surely makes this a vacation getaway for golfers of all ages and skill. Stay one night, two nights or more in one of our luxurious, fully-furnished condominiums, while playing 18 or 36 holes on the Castle Course featuring holes inspired by some of the most recognizable courses played by the professionals! Packages also include golf cart and practice facility. Stay & Plays offer discounted golf and condominium rates. Northern Bay Golf Resort reserves the right to change price and offer at anytime. Prices and offer are subject to change without notice. GolfWisconsin.com is not responsible for errors posted in this golf package.